Want Protection While Surfing? A Proxy Server Is Your Friend in Need, a proxy server is basically a software system which acts like an intermediate between any endpoint device and the server which has been requested for a service. One major advantage of proxy servers is that its cache can accommodate the requirements of all users. Private proxy servers are dedicated IPs which can be used by only one user at one time in order to hide the assigned IP address. There are basically three types of proxies – forward, reverse and tunneling proxies. These servers have the function of interception of sender-receiver connection. Different ports are put in use for the incoming data and the out going one and hence direct connection between two different networks is avoided. This eliminates the chances of hackers getting the internal address or any other private information. The proxy server can be included in the components of the firewall. 2. It completely hides your geographic location and IP address which will make it appear to the servers that you are not using any proxy at all. 3. You can have unlimited bandwidth for the period of subscription. 4. They offer you protection using HTTPS and HTTP protocol for every website you visit. You need to buy proxies for the protection they provide from hackers and fishy websites. Business relating searches makes it mandatory to use them. If you wish to surf the internet undetected, proxies are the first requirement. They are required for scrapping the internet anonymously. They are also needed when you wish to hide your location and surf using high speed. 1. Public proxies, although free, should be your last choice as they slow down the speed and performance as many people rely on the same connection. 2. Bandwidth should be the first thing to consider during the purchase. After all, you will have to share the connection in a public proxy and low bandwidth offered can slow down your work. 1. Location – Chose the proxy’s location around your geographic location. 2. Reliability and speed are the most important factors to consider. 3. The security offered is equally important. After all, this is the basic function of such servers. 4. Customer services provided by your proxy provider is also a factor must to consider as you will need assistance if anything falls short or some trouble occurs. 5. Last but not the least the price must also be kept in mind and given the important part in consideration. If you need more information do not hesitate leave us a comment or question about it. Digital transformation of business organizations has a great impact on the information security industry and this impact will continue for the coming few years. Today, there is more awareness about the importance of security than before, but are things in a better position than a year back? Information security is evolving with every passing day not by choice, but because business organizations are continuously facing new threats to security. We have seen that simply handling the sharing of personal information in different ways will not solve the purpose. The nature of threats is changing too, and it is time to remain prepared for different types of attacks. To keep pace with the threats, cybersecurity teams have to continuously adapt and evolve the new threat types, often requiring to invest in latest security technologies and adjusting with the new defensive processes. The trends will play a crucial role in enterprise security. Let’s take a look at the new areas emerging. As the usage of data increases in every organization and more and more businesses are adopting big data systems, it is important to protect the personal identification information, intellectual property and other regulated data while being able to share the information securely. Today, organizations are switching to a policy based approach for greater access control and to share critical information between partners, departments and customers and ensure that only those who are authorized to view sensitive information can do so. IT leaders have always tried to meet the challenges of various business enterprise in order to better support their initiatives. Development, security and operations, DevSecOps has now emerged as a new means for the cross functional teams to work together. This approach is about considering new services to produce faster than the legacy approaches. It is here that information security plays a great role and it is vital to ensure that uninterrupted delivery practices also embrace great security practices. Secured access control devices like attribute based access control can now be automated like DevSecOps to ensure easy access to microservices, big data and APIs and etc. Most organizations are now focusing on great user experience so that they can stand apart from the tough competition. But any sort of information security breach can instantly destroy their experience and their reputation. Identity and access management is about balancing the customer experience and security without sacrificing one for the other. It enables the organizations to capture and securely manage the identity data of the customer whole profiling the data and controlling their access to various services and applications. Enterprises are also considering to implement advanced technologies to monitor and report any type of internal security threats and to find the culprits within their organization. It is by using machine learning, artificial intelligence or data analytics that they can now identify the anomalies that would go unnoticed otherwise. When any access control that is attribute based is deployed, the activity log data can be used to enhance the monitoring and reporting processes. Moving to the cloud is what organizations are adopting now. Enterprises are now shifting their infrastructure to the cloud and this means that they need cloud native security capabilities and products. The most important security layer is the access control to the data that is cloud hosted and any other business resources. The ABAC model runs in the cloud and is used to secure the cloud assets and this gives high flexibility to the cloud based enterprises. Today, about 64% enterprises are increasing their information security budget and this means that they are aware of the security threats and want to take initiatives to control cyber threat and risk levels. Should you need an extra layer of security, you might always deploy an extra firewall appliance (recommended). Ensuring that you’re encrypting data wherever it’s feasible. Then, if you want to access your data, it’s quickly decoded into its normal discernable format. Also, make certain you decrypt your data only when you’re using it. Along the exact lines, you should ponder going over how to secure data. It’s mandatory to take all the vital actions to shield your data. It’s possible for you to ensure safety of information in transit by utilizing transmission protocols that implement the newest edition of Transport Layer Security (TLS). You might have enforced the simple security best practices. Security professionals frequently have an entirely independent system that isn’t accessible on the Internet in an immediate way. Security is still your duty. Nevertheless, security can many times be an afterthought. Consequently, security has to be part of your small business strategy, and it has to be reinforced from the exact top of your organization. 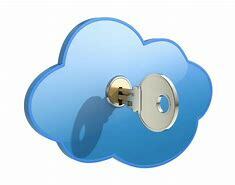 Information security is just one of the problems that influence using cloud system. Security is the forefront for virtually any on-line business today. Simply little changes to the manner in which you do things on the internet can possibly boost your on-line security an incredible arrangement. Cloud security provides you with the ability to modify the approach to control security in a more agile way. Cloud security desires some external infrastructure maintenance, but in regards to costs incurred, performances and productivity levels, it’s always helpful to the corporation. Cloud security is definitely one of the more important concerns. Obviously, among the principal considerations in regards to ensuring security on the cloud is to make certain the products which you use are robust. Elephant Cloud service is simply available in Chinese at this time. It’s also advisable to check with your cloud provider if it gives built-in encryption mechanisms for assorted storage mediums. In addition, the cloud provider may be replicating the data across countries at various locations to keep high availability. Finding the proper cloud provider is a tough job. Even if your organization is small, tailoring security training to individual departments is truly powerful. If you’re a recruiter, perhaps the provider is prepared to pay a referral fee for new business enterprise. If your organization has even 1 customer found in the EU, you must handle that customer’s data based on the GDPR. If it is small enough, you can likely have the training session with everyone at once. Many security businesses sell appliances so aren’t pure SaaS models. Cloud computing is exceptionally strong with a few vendors as they have the infrastructure, intellectual expertise, and resources to properly support their clients and their demands. It will be quite vital to be cloud certified on distinct levels. By approaching attractive propositions, cloud becomes an integral component of all types of organizations. If it comes to Cloud, all the servers are interconnected to one another by way of a network cluster and there isn’t any single point of failure. For hackers, an unprotected cloud is similar to a public gold mine that’s far simpler to dig. On the flip side, a private cloud is tailored to your business enterprise and only your enterprise. 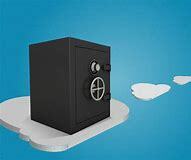 Despite the fact that the public cloud includes great financial advantages, in the same way as any other infrastructure, additionally, it has its share of threats. There are lots of tools that may automate the practice of harvesting interesting information from external services. Make certain you also purchase security software and update or upgrade current technologies at work. Moving the legacy program ecosystem to the cloud is a complex process that has many underwater reefs, which can cause costly mistakes. Better still, most cloud applications just will need to show they are compliant and there’s a difference between compliant and validated. Cloud apps are offered in the very same kinds of categories that you used locally. 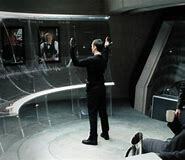 Unlike Skype, it’s very simple to integrate different applications and tools into Teams making it a good place to construct your organization and keep connected. When it regards processes, automation is essential. The optimal solution is to be prepared for anything. While implementing security technology is a fantastic place to begin, additionally, it is critical to educate employees by conducting regular security awareness training. PaaS solutions supply a platform that permits customers to develop, launch, and manage apps in a sense that’s much simpler than having to develop and preserve the infrastructure. As the cloud platform offers an environment for a great many cloud solutions, it’s really hard to set up a trustworthy path between a cloud storage and your applications. Crowd-sourced cloud storage platforms will be utilized in building and keeping large scale applications.